Want to jumpstart your real estate lead generation plan? These 5 SEO tips for realtor websites will get you started! The majority of real estate searches now take place on mobile devices. Google prioritizes mobile-friendly websites, giving them a higher prominence in search results. If your website is bumped down to the second or third page in search results because it is not optimized for mobile, more than half of your potential clients may not even know your site exists! That means that optimizing your realtor website for mobile is not just a good idea, it is an essential part of your real estate lead generation plan. People are increasingly turning to voices searches through digital assistants on mobile devices and smart home hubs rather than typing queries. It’s time to move your SEO away from the keywords that were popular with desktop real estate searches and optimize for the natural sounding, long-tail phrases that people use with voice searches. Using the most popular real estate terms is not going to help your website generate more leads, because Zillow and the other real estate directories have already captured the top spots for those words. Concentrate on local and hyperlocal keywords, such as community and development names, local neighborhoods, and even nicknames for regions. There is less competition for these hyperlocal search terms, so you can gain a higher search rank for your site. A well-written blog is an essential part of any lead generation plan for real estate. A blog is SEO-gold, giving you a way to update your realtor website every week with the latest trending keywords and phrases. Because your blog is constantly adding fresh content to your website on an ongoing basis, you will score high marks on consistency and fresh new content, two more of Google’s top ranking factors. Great way to boost your realtor lead gen plan! Examine Google Analytics to find areas where you need to revise your SEO strategy. 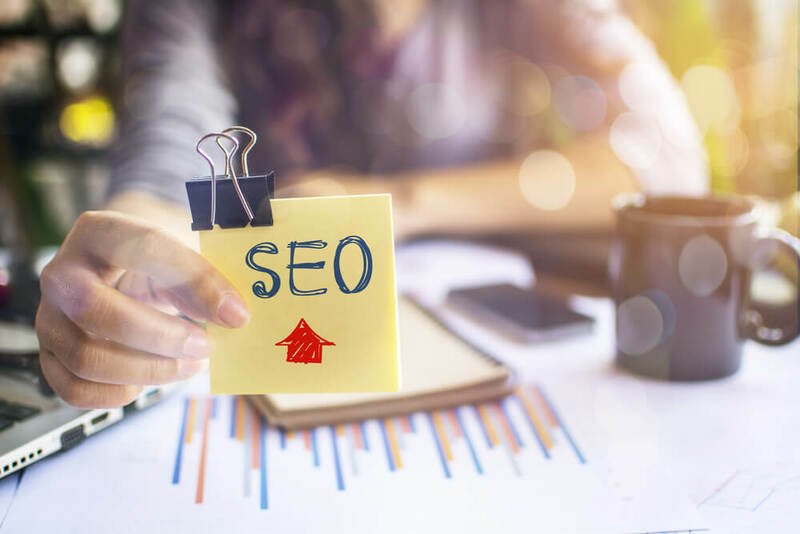 Remember, the ultimate goal of your real estate SEO strategy isn’t just to optimize your website for search; it is to optimize your website to generate more leads. Check where your traffic is coming from, look at your keyword performance, page bounce rate, conversions, and other metrics. See if you can find opportunities where a few adjustments will make your SEO strategies a more effective part of your realtors lead gen plan. If you would like more SEO tips for realtor websites or help implementing a real estate lead generating plan, you can always turn to For Sale Marketing. As a dedicated real estate internet marketing company, For Sale Marketing can provide you with everything your real estate agency needs to start generating more leads, including responsive, SEO-friendly website design, expertly optimized SEO-content creation services, monthly SEO maintenance packages, and much more. Contact us at For Sale Marketing today at 954-866-1115 for expert real estate SEO services to help make your real estate lead generation plans a success!